Weekend Wrap: LG webOS 3.0 gets Freeview Play, Google kills off Nexus Player | What Hi-Fi? From the news that interactive ads could soon be invading your Samsung smart TV, to Google killing off the Nexus Player - it's What Hi-Fi? 's Weekend Wrap. If you currently own a Samsung smart TV, or are planning to buy one soon, you may want to know that you’ll soon be seeing interactive banner ads. The Wall Street Journal reports that Samsung will soon be rolling out interactive adverts to TVs in Europe, after first carrying out the scheme in the USA, where it has been active since June 2015. New TVs will come with the advert software preinstalled, and older TVs will get them after a software update. It’s believed Samsung is turning to adverts to help raise additional revenue in an increasingly tough TV market, with profit margins under pressure. 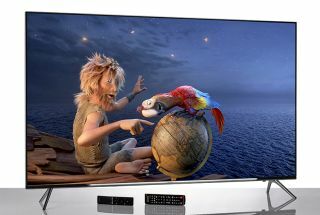 LG has confirmed that Freeview Play will be included with the new iteration of its webOS smart TV operating system, webOS 3.0. It means ITV Hub and All 4 catch-up services will be available through LG’s smart TV platform for the first time. The services will be accessible alongside BBC iPlayer and Demand 5. Video-on-demand services including Netflix, Amazon Video, Now TV and Google Play will also all be available through the platform. Freeview Play will also allow users to scroll backwards and forward by seven days to catch-up on missed programmes, or set recordings for future shows. Freeview Play will be rolled out on webOS 3.0 devices through June, while the scroll-back TV guide will be available as an update later this year. MORE: Freeview Play - What is it? How can you get it? Spotify has followed in Apple Music’s tracks by signing a deal with Dubset that will mean artists in remixes and DJ mixes will receive fair royalties. Dubset has a system called MixBANK that checks each track for any copyrighted material before getting permission to stream it from the correct labels and publishers. The deal means Spotify now has access to more radio shows and individual tracks that couldn’t have been played before the deal was made. Keep your eyes peeled for now content appearing soon. Google has quietly killed off its Nexus Player after facing stiff competition from other set-top boxes - both those running Android TV and those with rival operating systems - as well as TVs with Android TV built in such as sets from Sony and Philips. If you've yet to sign up to a music streaming service, then Deezer's latest offer could peak your interest. From now, until the 30th June, you can sign up to a three month unlimited trial for 99p. For less than one pound, you can have full access to Deezer's entire music catalogue without adverts, listen to curated playlists and download tracks for offline listening. At the end of trial you'll be charged the standard £9.99 a month unless you cancel. If you do cancel, any downloaded songs will be removed from your device. You can sign up to the three month trial here. We liked Deezer when we last reviewed it, although we felt the mobile app could have done with a bit of tweaking. If however you use the web or desktop app, you'll be given a thoroughly rewarding experience.